The Bitons inherited from their parents the overall cheerful, positive and happy attitude and they fit best in bigger families, with children discovering them as their new fluffy companions. 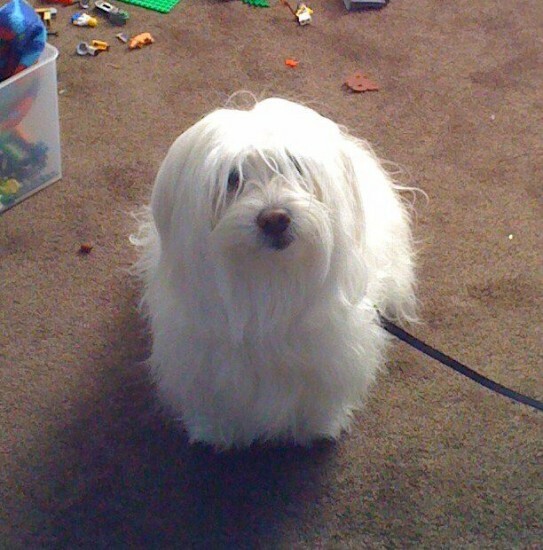 A rather small sized dog, the Biton inherits though the sturdiness of the Coton de Tulear parent. Choosing these dogs to have along the house seems to be a very good idea, as their coats don’t really shed. The coats are smooth, long and wavy looking. There are also a few aspects which need to be dealt with carefully and can sometimes be a real pain. Bitons can be excessive barkers even when they hear sounds which are not within their territory. If they don’t receive a proper level of socialization, they can develop conditions such as separation anxiety or they can become suspicious and shy. The price of a Biton is not among the friendliest and it is in line with the high prices of both the parent breeds. However, should one decide to get such a dog, it’s best to study the methods of caring for it, otherwise it would be best just to pick something different as a pet. Knowing the specifics of these hybrid dogs will help to provide the best care and satisfy their needs, so they can be happy and be the dogs everyone want. The soft, fluffy and thick coat of a Biton usually is colored white, but apricot or gray appearances are also accepted for this breed. Bitons have an easy going nature and friendliness, affection, energetic behavior are all parts of their personalities. They enjoy pleasing the family members, but also like to be given plenty of attention. They are known to get along pretty well with other dogs and children, especially if they have the chance of growing along with them since they are very little. Bitons can safely be considered a gentle breed. As Bitons shed very little, grooming is not very difficult. However, it is recommended to maintain their coats as clean as possible, by bathing occasionally. A mild or hypoallergenic soap are best to use in order to reduce the risks of skin irritations. Bitons are highly trainable dogs and also a lively, playful breed, which adapt perfectly to indoor lifestyle. This entry was posted in Bichon Frise Mix, Coton de Tulear Mix. Bookmark the permalink. 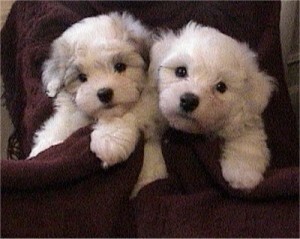 How can I get two female Biton puppies?????? ?